Whether you’re a dancer or just a toe-tapper, you won’t be able to sit still. 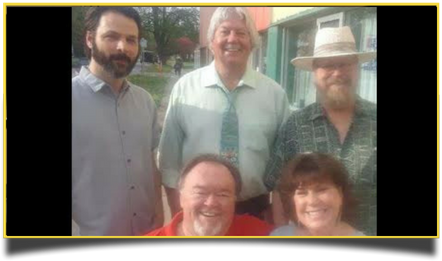 The Dave Frisse Band features the music of . . .
A jam session was held at Zora Shrine in Terre Haute during the Induction Banquet of the Wabash Valley Musicians where sixteen area musicians were inducted into the Hall of Fame. 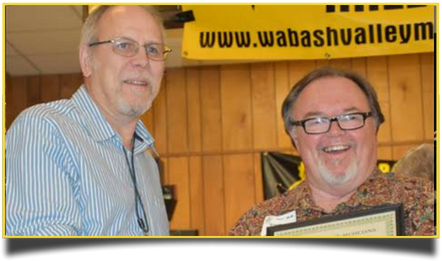 “We like to honor them because of what they’ve given the Wabash Valley back by playing music to bring life and happy and joy to us,” says Andrew Hayes, chairman of the Board of Directors. Our latest album is available for purchase. Check out the song list and sample some of the tunes on the release titled “Bad Doggie”. We perform regularly throughout the southern Illinois and Indiana areas. To find out more about where we will be playing next, check out the Dave Frisse Band page on Facebook. To inquire about booking the band for your next engagement, send us an email or give us a call. We look forward to hearing from you.